Save an extra CDN$ 13.18 (77%). Buy the Kindle Edition instead. It is a sunny Sunday in May, 1993. After church, a mother and her lovely fourteen-year old daughter walk three miles to a country store for cigarettes and ice cream. It is a walk members of the family often take in this rural Sulphur Springs Valley area of southeastern Arizona near the Mexican border.The mother and daughter arrive at the store in a jovial mood, trading pleasantries with customers and the owners... The daughter timidly flirts with a boy from her school. The daughter and mother leave the store in a silly mood, finger painting ice cream on their faces.They never make it home...The deputy sheriff of the county believe there has been a 'stranger abduction'.There are lots of action, interesting characters, and romance to go with this fictional account of an incident inspired by true events...events that brought tragedy to a shaken family.Don't miss this one! Start reading Stranger Abduction on your Kindle in under a minute. Billy Ray Chitwood, author, son of the South, a Dreamer, Romantic, and Wanderlust... Writing is therapy for his soul - along with wife, Julie Anne, and a lovable Bengal cat named George. The author's writing is defined by narrative clarity, musing, action, and reader enjoyment. Many of his thirteen books are inspired by true life events, one in particular very close and personal ("An Arizona Tragedy - A Bailey Crane Mystery"). School teacher, sales and marketing, business owner, actor, and honorable service in the United States Navy. He lives in the rolling hills of Lincoln Land. 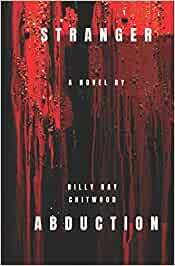 Based on a real case of a mother and daughter disappearance (which was never solved), Billy Ray Chitwood's latest novel is a darkly-imagined story of exploitation and violence South of the Border. As is usual with Chitwood's books, the descriptions are spare, the pace is fast, and the characters drawn with a few deft strokes of the pen. Human and romantic elements lighten what could otherwise be a grim tale, but in the hands of this writer makes for a gripping narrative. 5.0 out of 5 starsHeartbreaking story! Can you imagine anything more frightening than a mother and daughter disappearing from a quiet rural road? That's exactly the tale that Billy Ray Chitwood relates in Stranger Abduction. This is a fictitious account of an actual event. A mother and daughter walking home from the store, happy and eating ice cream when evil pounces. The way the author wove this tale around all the characters involved is gripping. I discovered many sub-plots in this book and sometimes that doesn't work. But, in this book, it worked perfectly and I had no trouble following along. This is a chilling, well-written story that will keep you on the edge of your seat, break your heart and then mend it slowly but surely. A great read! 5.0 out of 5 starsEven with a dark subject matter--there are always heroes! The story is a frightening one - the abduction of a mother and her daughter, but it becomes a haunting masterpiece through the writing skill of the author. I was entranced by Billy Ray Chitwood's ability to create a scene through description and dialogue. Characters emerge warts and all; they are believable, they are people you might know. We travel with them through time and shifting circumstances and experience their world through the writer's able pen. This is a gripping story based on actual events, but it is also a beautifully structured novel. A chilling and frightening account of a mother and daughter abduction. I appreciated that the author spared the reader of any details as to how they were treated sexually and physically. They are kept in a drugged state which affects their memory, ability to try to escape, and communicate with one another. I never lost interest in the book which was a page turner. The role of the sheriff and his own personal struggles and successes are nicely woven in without distracting from the abduction. Well edited. A harrowing tale about the abduction of mother and daughter, based on true events. The prologue between two 'businessmen' agreeing a 'trade' regarding the delivery of 'products' lets you know immediately just who the women will have to deal with. Gripping seems almost the wrong word for the novel, due to its real life relevance. Some chapters give insight into the victims, others tell the story from a more distant perspective, which for me contrasted really well how the personal experience is compared to the 'story' of an abduction. Fortunately, in this fictionalised account, there is much that lightens the tone and helps the novel to steer clear of formula and predictability. A well composed book that stayed with me long after I put it down.